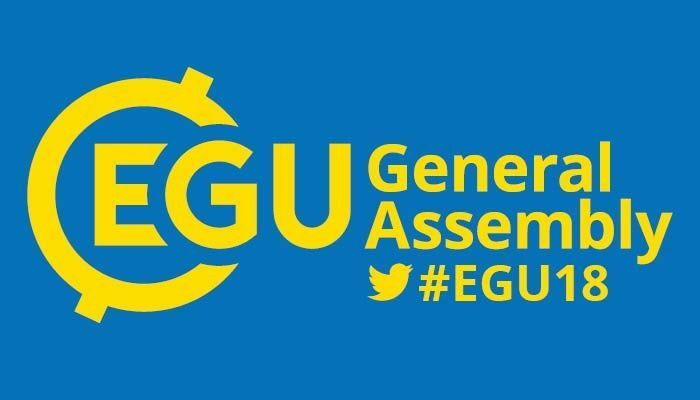 The EGU General Assembly provides a fantastic opportunity for geoscientists to network and discuss their latest findings, as well as meet with representatives from industry and publishing. It was a very busy week indeed. 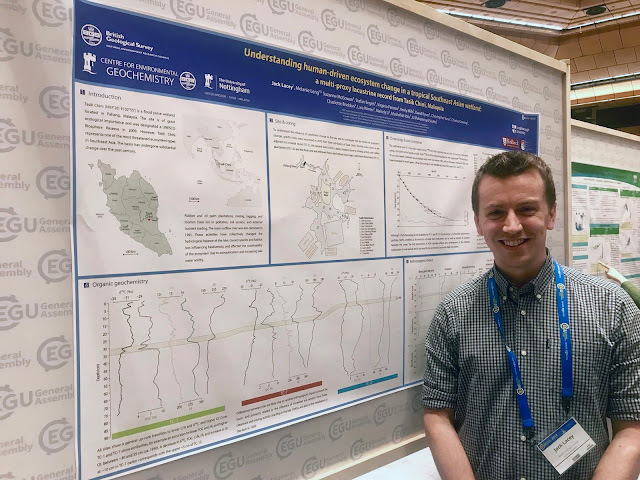 The large number of scientific presentations were organised into 22 broad-scale topics, such as ‘Natural Hazards’ or ‘Atmospheric Sciences’, which were subdivided into 666 subject-specific sessions each consisting of talk, poster, and PICO sessions. This was in addition to the medal lectures, great debates, town hall meetings, short courses, and educational and outreach events. Thankfully, the timetable for the whole week is available online and through the EGU app, so you can plan your week in advance and make sure you get to all relevant sessions. The two papers I presented look at the scale and timing of human impact on lake systems, specifically Rostherne Mere in the UK and Tasik Chini in Malaysia. Using sediment core records we are able to find out how these ecosystems behaved in the past before major human disturbance (e.g. deforestation, pollution, dams), which can then act a baseline for understanding when and in what way human activity has influenced the lake and its biota. This information is essential for putting in place conservation strategies to help manage and reduce our impact on natural environments. Overall, the meeting was very successful and it was great to share this research with the wider scientific community. Find out more about the Tasik Chini project on GeoBlogy, and read about tracing human impact on Rostherne Mere (UK) in Anthropocene.